And two seems to be perfect! Place the 1 cup of pecan halves on a sheet pan and bake for 5 to 10 minutes, until toasted. Set aside to cool. Place the cooled pecans plus 1/4 cup of flour in a food processor fitted with the steel blade and process until the nuts are finely ground. Place the mixture in a medium bowl and add the remaining 1 3/4 c. flour, salt, baking powder. Stir to combine. In the bowl of an electric mixer fitted with the paddle attachment, cream the butter and sugar on medium speed for 2 minutes, until light and fluffy. With the mixer on low, add the vanilla and the flour mixture, mixing just until the dough comes together. Using a small ice cream scoop form the batter into balls about 1 inch in diameter (1 ounce on a scale). Place the balls 1 inch apart on a sheet pan lined with parchment or silpat. Press a pecan half into the center of each ball, pressing the pecan halfway down into the cookie. Bake for 20 to 25 minutes, until the cookies turn golden brown around the edges. Cool for 5 minutes. Place on a wire rack and cool completely. I think it would be hard to just eat 2 of those. I'm am sure that would be difficult! Looks wonderful and so glad you shared! What a perfect way to get ready for the second half of the day. Yes, smaller cookies means we can have two, doesn't it? Like you, for years I've always had something with my afternoon tea and if there are no homemade treats I have to scramble for something because tea alone just won't do. 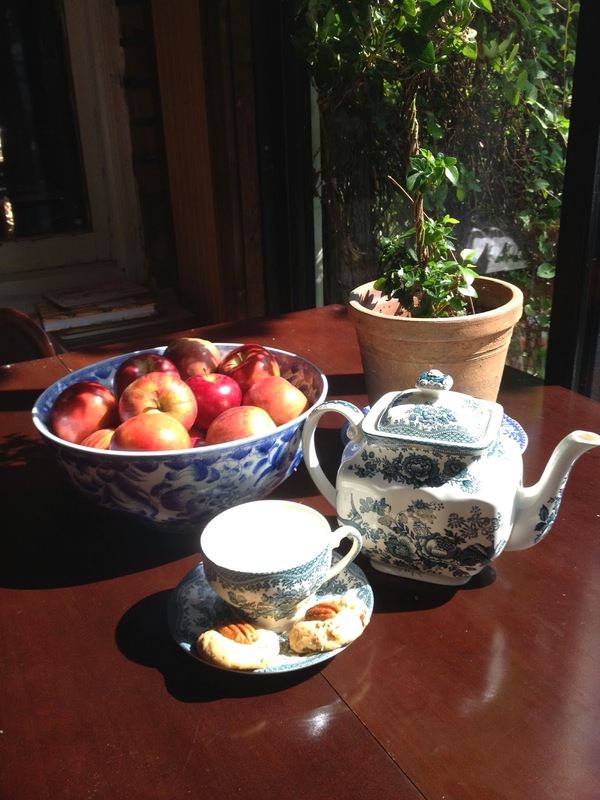 Pretty teapot and cup/saucer, Martha! The shape of the teapot is lovely. Your cookies look just wonderful. I like a cookie that can fit on the saucer too. I always prefer home made whereas Hubby will eat anything including store bought. A pleasure to have you join me for tea and have a splendid day! I too love an afternoon treat with my cuppa...and these look perfect! Thanks for the recipe...I'll be making these! If I can't find demerara or turbinado, can I substitute brown sugar? 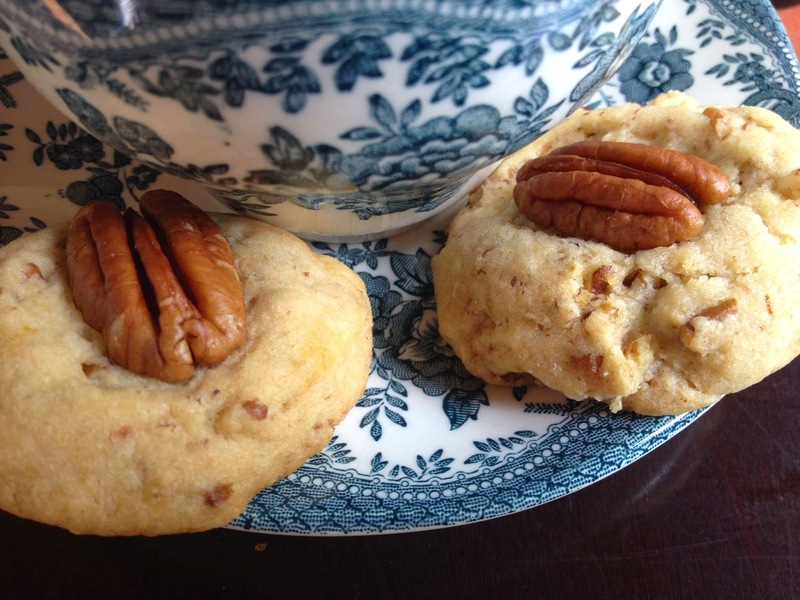 I'm crazy about pecan sweets, so I just have to try these cookies. These look delicious and yet I have never made them. I always keep Demura sugar in the pantry since that is what I take in my tea. Saw your last post too and LOVE the new dust ruffle. It is soooooooo elegant. You and I both had a bowls of apples on our blogs today! I guess it's the right season for it. 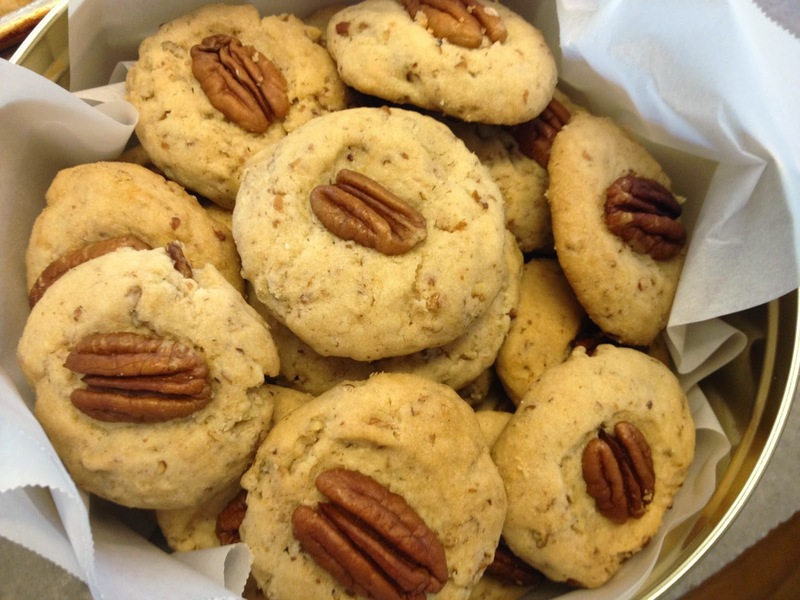 Your pecan cookies look great! i love when we can have lots of apples! the little cookies look so good. You can't go wrong with one of Ina Garten's recipes. They are always delicious. 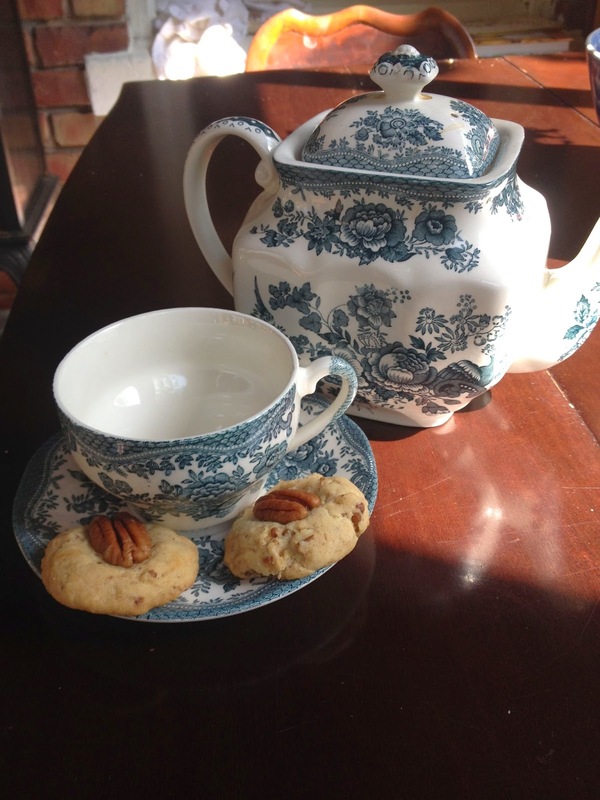 Your cookies look perfect perched on your saucer!